Greetings Divers – One of our snorkel instructors, AmyH, has asked me to circulate an event being run by BSAC branch “Sub C Divers”. 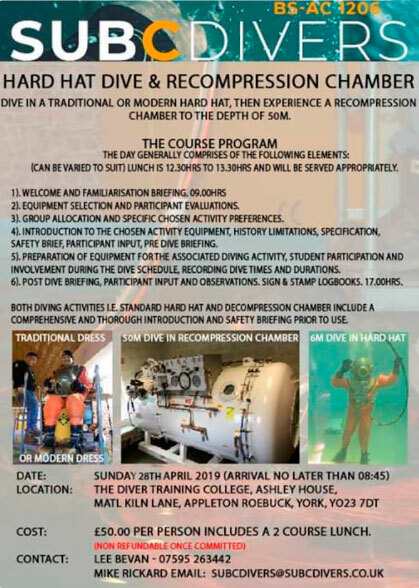 They have organised hard hat dive and decompression chamber dive on the 28th of April 2019 in York – cost is £50 including a 2 course lunch. They are opening up to other BSAC members. Please contact Lee Bevan (07595 263442) for more details.